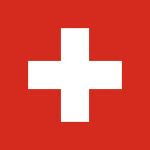 Switzerland has been an intransigent fortress of financial secrecy for many decades. In the past couple of years, however, things have started to change a little. The changes that allowing some encroachment on its banking secrecy are incremental, so far, though not insignificant. Quite a lot of it represents defensive tactics in the face of outside pressure on Swiss banks, in what has been described as a Swiss 'circle the wagons' approach to change, along endless delaying tactics, which have been quite effective in some cases. Behind these incremental changes, however, the psychological sands are shifting in more fundamental ways. There is a growing acceptance in Switzerland that the world is changing profoundly, that there is far less tolerance for Swiss banking secrecy, and that there is no way back from here. "Pierin Vincenz, chief executive of Switzerland's third biggest bank Raiffeisen, said the country's strategy of seeking a separate tax deal with individual European partners could falter if it agrees to hand over large amounts of U.S. client data. "If the Americans get thousands of client data, the Europeans will want that too," Vincenz told the Tages-Anzeiger newspaper in an interview. “the Union should follow the lead of the United States, which has forced Switzerland to transmit the bank data of presumed fraudsters”. "The Danish EU Presidency shares this view. In its recent note on the revision of EU rules on savings taxation ( Europolitics 4354), it points out that Berne has made a number of concessions to the US, including on grouped requests for information on presumed fraudsters. Copenhagen therefore considers that it is “important that all EU member states coordinate their positions so as to ensure that Switzerland treats its European partners at least as well if not better than the United States”." in the end only be possible with an internationally supported strategy." A common Swiss position these days is to argue that the solution is not information exchange but to apply withholding taxes to the appropriate accounts, while secrecy is preserved. Our response is: we do not object to the withholding taxes - but why preserve secrecy? Why not have both transparency and, if necessary, withholding taxes? His words do signal a change in the mindset in Switzerland. In fact Tax Justice, as we noticed just yesterday, is breaking out all over the place. Still, don't be fooled. These are at the end of the day words, not deeds. And there is still a very, very, very, very long way to go.